Is it cost effective to use a consultant? Yes, using a competent and experienced consultant is cost-effective in several ways. You save your valuable time and energy by permitting us to allocate the significant amount of time required to inspect, evaluate, and handle contract documents as well as secure the appropriate contractors for the job, and spend the necessary time with them in review of each job. We save you money by developing proper designs and specifications from the start, thereby dramatically reducing the potential for long-term problems. In general, we are able to substantially reduce the life cycle cost of your asset. Why should I use Roof Management Consultants? Unlike many other consulting firms Roof Management Consultants has been providing our services for over 18 years. We have worked on projects all over the country and we bring to the project very experienced personnel. Our Project Managers average 15 years experience. Our Cad and Design Staff averages 23 years experience. This combination ensures a properly designed and managed project. This experience has also allowed us to become very familiar with all types of roofing and waterproofing systems, existing construction, and roofing and waterproofing problems from both a design and performance criteria. First and foremost, our interest lies with you. As an independent agent, we do not benefit financially by using any particular manufacturer or contractor. Although some property managers may feel that their own contractors can supply the same information we provide, they may not have the expertise in roofing or plaza decks to accurately assess and compare options and the most cost-effective solutions for their current vs. long-term budget. Although contractors are able to provide repair and replacement, in general, they will usually tend to lean towards one or the other because it is in their best interests to suggest highly profitable repairs, or by perhaps stressing the need for re-roofs to keep their crews busy. What we offer is our experienced recommendations, which are in your best interest! Example: It takes a discerning and experienced eye to determine whether your leaks stem from the need to make a good repair to perimeter flashings or recognize the overall deterioration of the roof system, which would point to the need to replace it entirely. If there are still useful years left in your roof, we will tell you how to best achieve this end, and keep you from spending good money after bad. Example: We can determine the pros and cons of either repairing a roof or replacing a roof based on long term analysis of repair vs. replacement costs. What is a preventative maintenance program? Far too often, roofs are neglected. What once were small and inexpensive repairs turn into sizable and costly expenditures when structural damage and spoilage to tenant interiors occur. This is a program designed for multiple property owners. 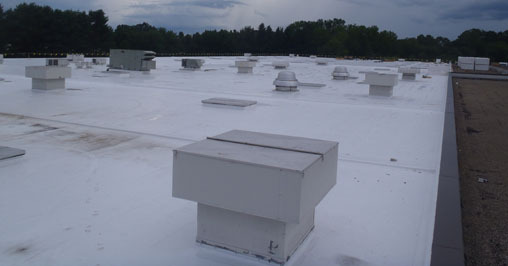 The program consists of initial inspection of all of the roof areas. This allows us to establish a database of the roofs and then from this we are able to establish immediate, short term and long term plans and budgets. The program integrates the new roofing needs with maintaining of the other roofs. It allows the owner to establish budgets to handle his roofing needs over a five to seven year program, or as needed. Typically after the initial inspection has been done the roofs in this program are inspected twice a year for a nominal fee. Reports are generated to show maintenance needs and to update budgets based on the new current data. We have had clients on this program for over 12 years. The general comment from the owner is that he has saved thousands of dollars in repairs and new roof replacements. What is a due diligence report? 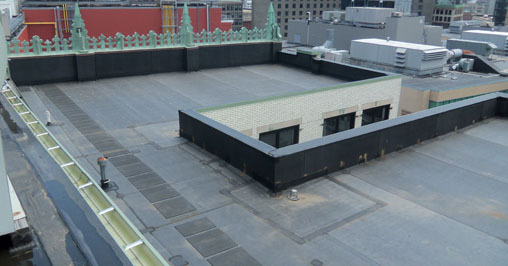 The roof or plaza deck system represents a very expensive portion of a commercial buildings asset. Prior to purchasing a building, wisdom would have a competent and experienced professional perform a thorough inspection and provide a written evaluation to determine and detail the exact condition of these systems. Even the most newly installed systems should be evaluated to ensure (rather than go on an assumption) that the contractor installed a quality roof system and used appropriate specifications. The decision as to when to install a new roof should be dependent upon a number of factors. In general, a new roof is required as soon as the amount of money spent on maintenance is no longer cost-effective OR, when the interior of the building is so sensitive that one could not afford to experience even one serious leak. There are other considerations such as time of year due to weather or building use such as with schools and building occupancy. If I need to replace a roof but budgetary restraints don't allow this now, what can be done? As consultants, we remain flexible and realistic about your long-term goals and financial capabilities. If a new roof is needed, we will tell you so. If your goal is to simply extend the life of the roof system, we will work with you keeping that in mind. If finances present a problem, we can help you establish a budget to set aside until funding becomes available. 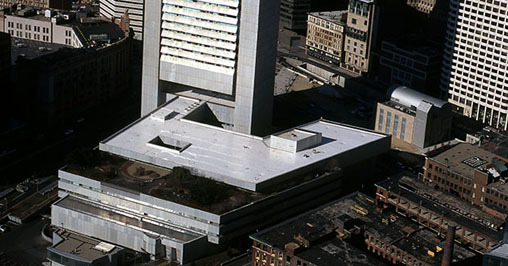 Often, commercial properties have several distinct roof sections that can be evaluated separately, and prioritized in the order of replacement needs, allowing for the installation of a new roof over a period of several years. Is it better to tear off the roof, or can I just install a retro-fit roof right over the existing roof? If the existing roof insulation is wet, the roof must be removed. The rule of thumb is: if thirty (30) percent or more is wet, the roof should be removed. Other considerations are that of: weight, the number of existing roof layers, the new thickness of the roof altering the appearance of the roofs perimeter or even the height of the penetration flashings. We are able to determine if whole sections must be removed, or if only partial sections require removal. We have saved some clients hundreds of thousands of dollars in tear off costs! What is involved with an "energy saving" roof, and how much money can I save? Proper design and installation of a new roof is often able to pay for itself over a period of time, by reducing energy costs of heating and/or cooling. Up to thirty (30) percent of heating or cooling costs are affected by its roof system. You may find it well worth your while to have us conduct an Energy Conservation Analysis of your building. 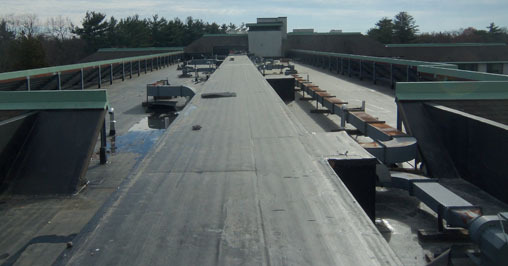 What type of systems do you specify to solve roofing and waterproofing problems? 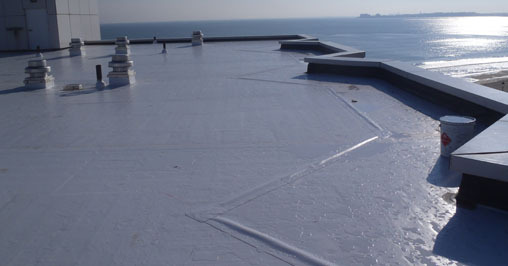 We have specified all types of roofing and waterproofing systems. We have specified, single ply systems of EPDM, Hypalon, PVC's, EP's SBS and APP Modified Bitumen Systems, Built Up Roof Systems, Sprayed in Place Urethane Foam, CertainTeed and GAF Shingles and aluminum and elastomeric coatings. 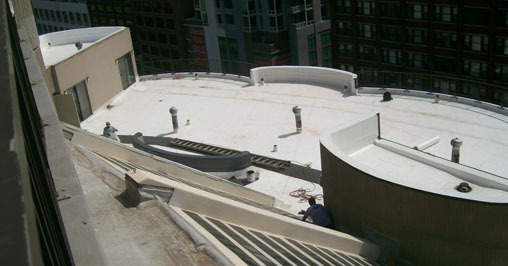 For plaza decks and below grade waterproofing we have specified Grace, Sarnafil, Siplast, and Kemper Products. There are literally hundreds of manufacturers and assembly options. In addition, we are experienced with many different situations and the fact that many roofs and plaza decks are unique. The short answer to the questions is "It depends." We take into consideration many variables that determine what system will be recommended for your building. For example, lets say you need a new roof system. We evaluate things such as building use, energy concerns, existing deck type, attachment to deck options, building height, anticipated roof traffic, budget parameters, need for tear off, local weather conditions and other factors which may be unique to your situation. The main concern we have is your best interest. The only systems we do recommend are ones proven over a long period of time. These are systems that will provide you with the best results and longest cost effective life cycle. What is a Plaza Deck? Plaza deck is any structure used mainly for pedestrian traffic over occupied space. Typical plaza decks can include building entrances, courtyards or landscaped areas that have occupied building space underneath the open area. Overburden Reconstruction replaces the courtyard or plaza area with new materials or reclaimed materials from the plaza deck waterproofing. This can include a new traffic topping, such as going from a concrete walkway to a paver walkway. Installing a new reflecting pool or simply changing the traffic pattern into the building. Where in the USA do you do projects? 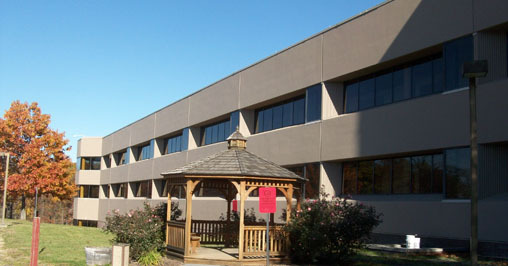 We are located on the East Coast with offices in Massachusetts and Virginia. We regularly consult from Maine to Florida and west to Texas and Northwest to Minnesota and consider this our main territory. We have managed projects in 48 states. Truth is, we can be anywhere in short order. How is a project typically handled? In general, contact us by e-mail or phone. We initially discuss your potential need of our services, answer all your questions and determine what will best serve you. What is usually performed first is a through inspection and evaluation. This will give you all the information on your existing roof or plaza deck and general recommendations of what should be done. Often what follows is a complete specifications and project management package. Your problems are identified and resolved. What is a Roof Asset Management Program? 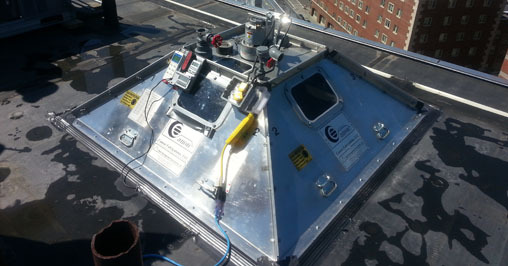 Roof Asset Management Program is a way for us to inventory your roof system. 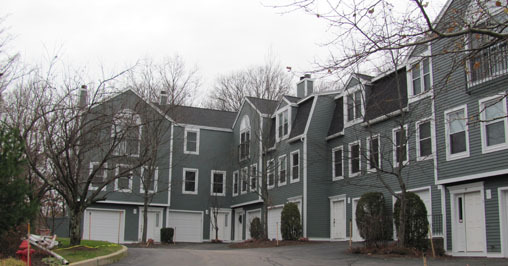 Typical roof asset management programs include a roof plan with roof penetrations. Determining the age of the roof system, the roof assembly from the structural deck on up to the existing condition of the roof. The program gives a baseline start to give you a starting point on your roof condition, and tracks the "health" of your roof over many years. The program will help in determining if your roof top units such as HVAC, exhaust fans and chillers are detrimental to your roof system. Will Roof Management Consultants work for Single Property Owners, Condominium Associations, and small companies? Although most of our present day work is with larger Property Management Firms and Multiple Building Owners we will always look forward to working with Single Property Owners, Condo Associations, and small companies. Many times our involvement with the smaller projects helps protect the Single Property Owner, Condo Associations and small businesses. These people generally don't have the time or personnel to be roofing experts. Yet they have a potential major capital expense that needs to be addressed and in the most economical and correct manner. It also needs to be done by a good qualified contractor. Roof Management Consultants pre-qualifies the contractors. Working throughout the country, how do you bring the best contractors to the projects? Obviously, over the last 18 years we have developed a relationship with many of the contractors and roofing material manufacturers. Based on their past performance, their ability to provide the manpower necessary for a particular type and size of project, and being pre-approved by the manufacturer whose system was selected for this work, helps us to invite a minimum of three to five contractors to most projects. In areas where we do not have a strong history with the contractors we rely on the system manufacturer to provide us with names of their top contractors in that specific area. Any question is a good question. Please call us to help solve your problems and to answer any questions that you might have at 774-847-9656.